Good or bad? People are replaced by dolls here! 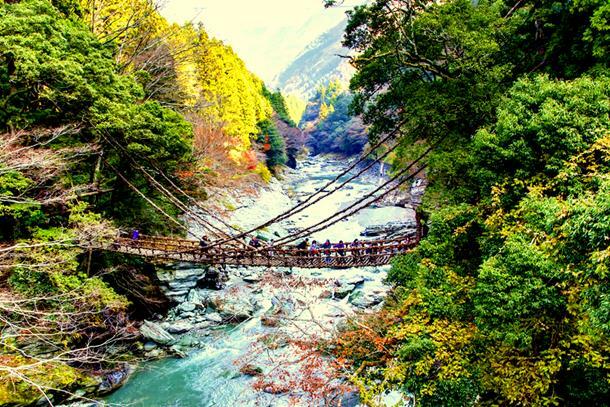 Once having a population of over 300, Nagoro on the Shikoku island, one of the smallest in Japan, was once filled with the lively laugh of people that inhabited it. But today, only a 30 remain; the rest are replaced by eerie looking dolls. Don't believe us? Get yourself an air ticket and witness this phenomenon for yourself. 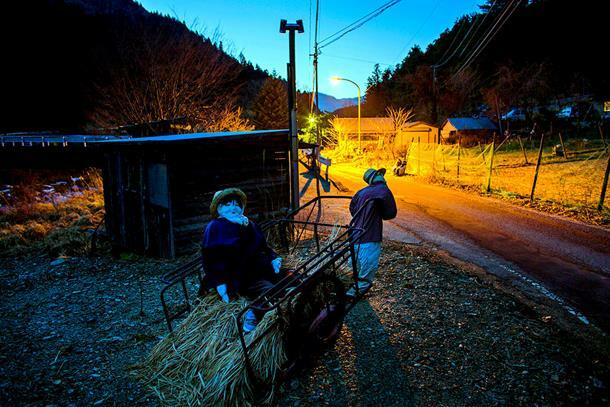 A decade ago, Tsukimi Ayano returned to Nagoro, a village in the Iya valley, only to come terms with the village’s dwindling population. She was haunted by her loneliness as the village had lost its reverberating voice that it once echoed in its heyday. 10 years back, she first created a scarecrow in the likeness of her father and since then, she’s replaced every villager dying or moving out with a doll in their likeness. The whole village is creeped out with dolls; they are busy doing their chores, set naturally in the background. 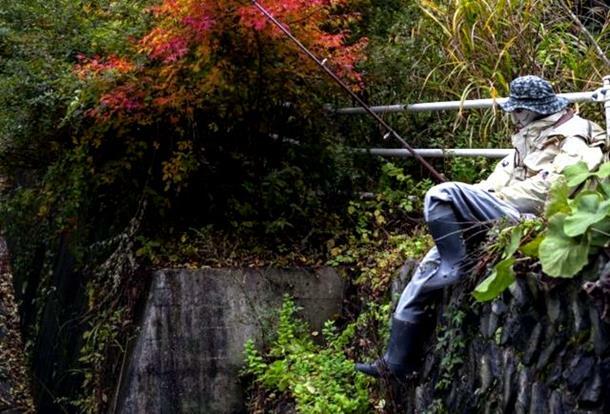 Some are fishing, gardening, hunting or just sitting on a bench uncannily staring at you. They blend so much with the surroundings that they seem to naturally coexist. The sinister spell of the scarecrows is also cast on the abandoned local school. The school that once echoed the laughs of young lads, is now filled with inscrutable imitations of kids that studied here. 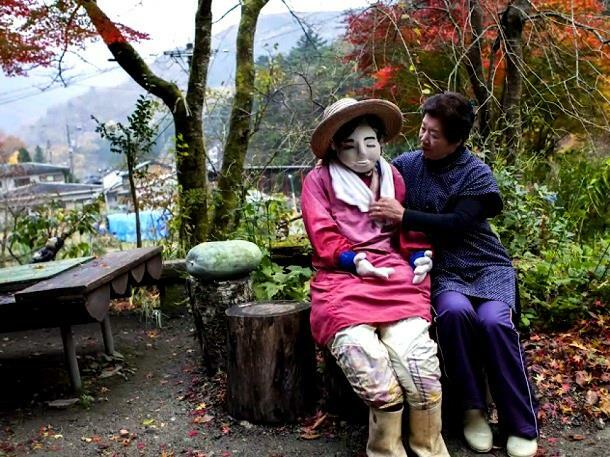 In the documentary, ‘The Valley of Dolls’, Tsukimi narrates her story of rebuilding the village with dolls and giving it a new tourism spot. 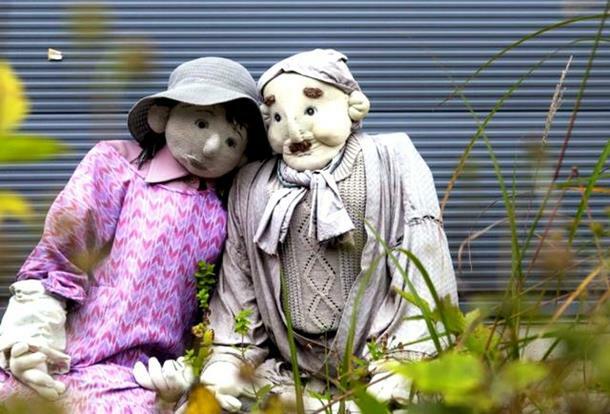 Today, this village has almost 350 dolls and only 30 inhabitants. 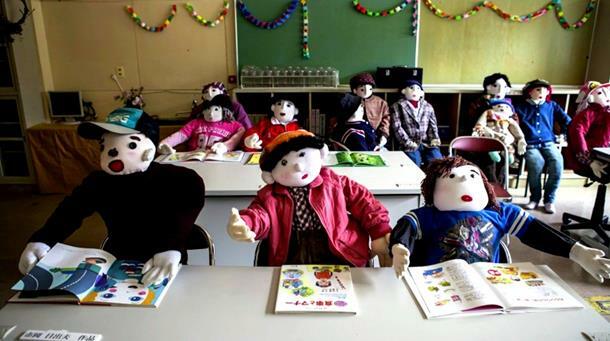 It is the only village in the world where the number of dolls outnumbers the population. It's only a matter of time until the entire village gets replaced by dolls.